If building muscle and getting ripped is your goal BUT you don’t have access to a gym, you prefer to workout at home or you just prefer to do body weight only exercises, you’re in luck. 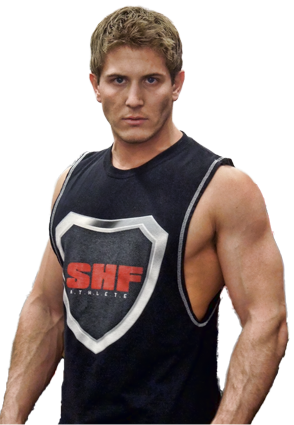 But let me be clear, building muscle is simple, it’s just not easy as they say. Simple meaning you A. need to workout consistently, B. eat a healthy, high protein diet and C. get some quality Zzzz’s every night. In theory, if A, B and C are dialed in, you’re going to see some terrific results. But as I said, simple, just not easy. 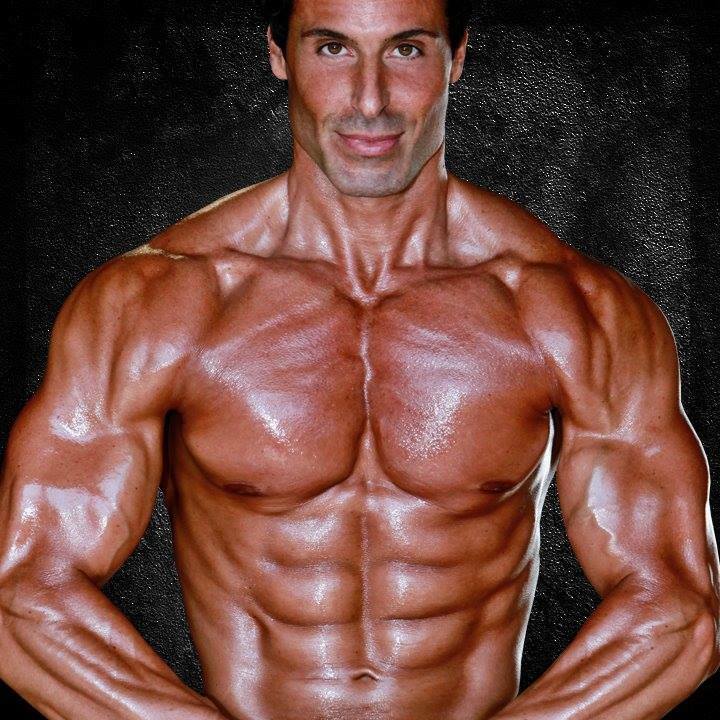 So let me make this as “easy” as possible for you and focus only on building a better back. Guys in particular hold a significant amount of fat in their back (especially after they hit 30) yet the back can be the most aesthetically pleasing part of the human body. Think of all the musculature in the back and how amazing it is to see definition in a man or woman. 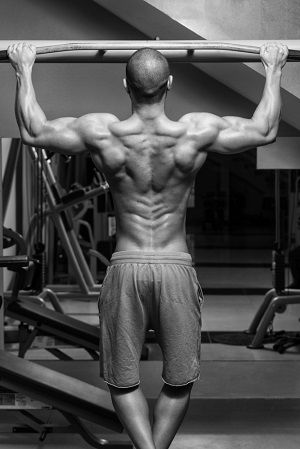 A sculpted defined back usually translates to everything looking better and giving you that tapered look so many elite athletes have and top level physique competitors strive for. The question then becomes: Is there any way to build the strong, muscular back you envision without weights? 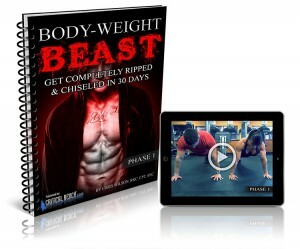 Well, there is one routine in particular that I can think of that will help you get into excellent shape using just bodyweight only exercises to help you get leaned and strong with developed back muscles. 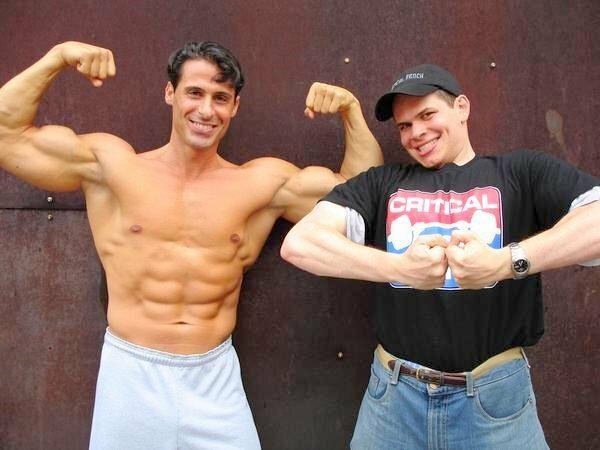 Several years ago a Dr. Frank I. Katch and his brother Victor (both of whom hold EdD, and PhD in exercise science and physical education respectively) developed a unique formula as it applies to bodyweight only exercises. As a starting point you must pick out a non-apparatus exercise(s) such as the bodyweight Pull-up. I’ve chosen the pull up because it’s a compound movement targeting a large number of muscles and joints at once and is super beneficial for all people in life. 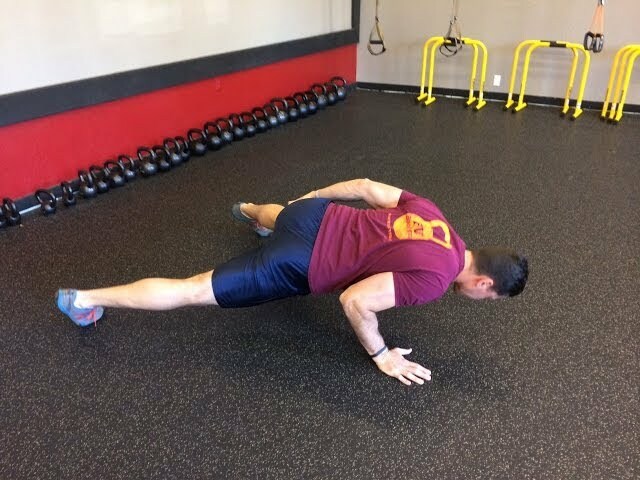 Note: You can also do this with Push-ups, Dips, Deep Squats, Pistol Squats, Sissy Squats, and Hand Stand Push-ups to name a few more bodyweight only exercises that target a large number of muscles at once. Using the Pull-up as an example, begin by performing these exercise for as many ultra-strict repetitions as possible within a 10 second time frame. Now rest for exactly I0 seconds; after the 10 second rest, immediately begin to perform some more Pull-ups for I0 seconds, then take another 10-second rest. Continue this pattern of I0 seconds of exercise followed by 10 seconds of rest for 9 more complete cycles, for a total of 10. On each of the succeeding five days you increase the number of cycles by two. At this stage you switch to 20 seconds of exercise and take 10 seconds of rest per cycle. Now you do 30 seconds of exercise and take 10 seconds of rest per cycle. In the last stage you do 30 seconds of exercise and take 5 seconds of rest per cycle. To summarize, here are the steps for successfully completing the FIVE stages of the exercise/rest principle. 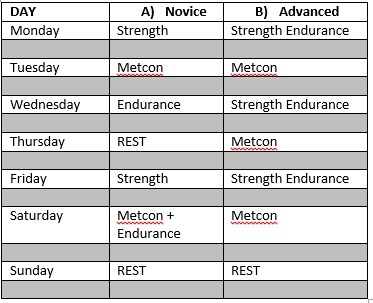 Each individual stage (I-5) consists of 6 non-consecutive workout days in a two-week time frame. The workouts could be performed on a Monday, Wednesday, Friday. Rest days include: Tuesday, Thursday, Saturday and Sunday. Begin each new stage on Day 1 by doing a minimum of I0 nonstop sequences of the exer­cise/rest principle, then on each scheduled workout day thereafter be sure to add 2 non­stop sequences (as in the detailed stage 1 example). 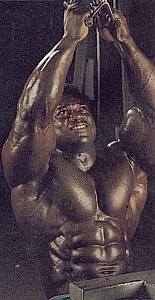 Always do as many ultra-strict repetitions as possible during the work phase. Follow the Exercise/Rest Formula as described and you discover a renewed interest in performing Bodyweight Only exercises especially as it applies to Pull-ups and the development of the musculature of your back. If you get GREAT at doing pull-ups applying the Exercise/Rest principle, here is a Challenge for you! 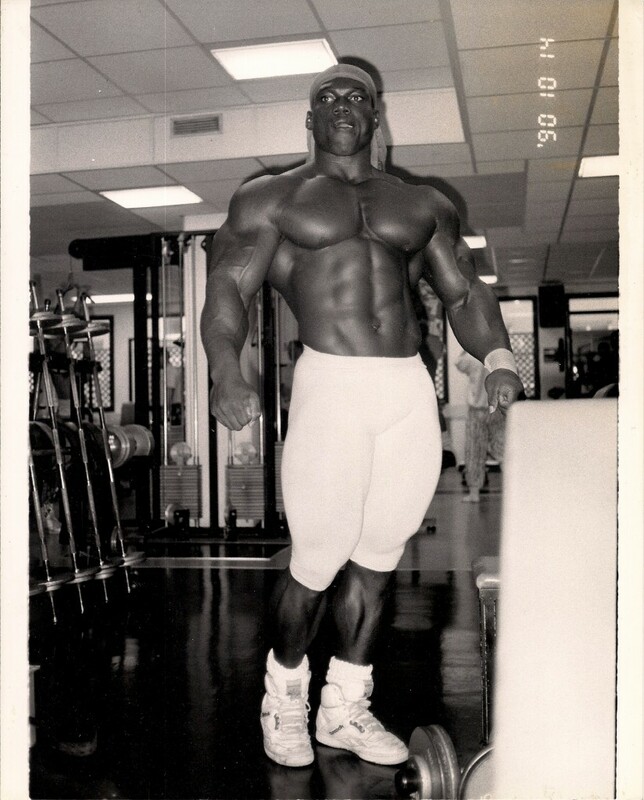 Q: I am a natural drug free bodybuilder and it seems to me that I hit sticking points in my training a heck of a lot quicker that some of my buddies who are on the “juice”. No matter how hard I try, progress almost seems like an impossibility some times. Maybe I am just not tough enough or not training intensely enough. 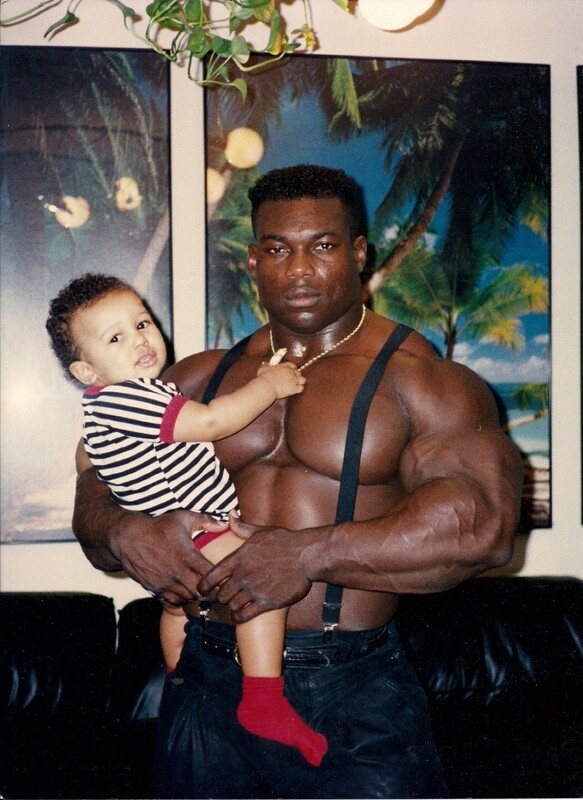 I know that you have trained natural all of your life so what are some of the secrets you have learned for making continued progress. 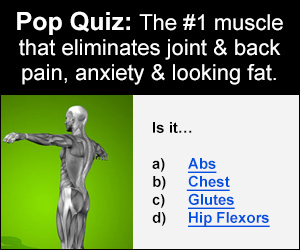 A: The simple answer…Do more heavy barbell squats and deadlifts to help create an anabolic effect. But then you might whine and tell me that you couldn’t do these kind of exercises because you have bad knees and a weak back. 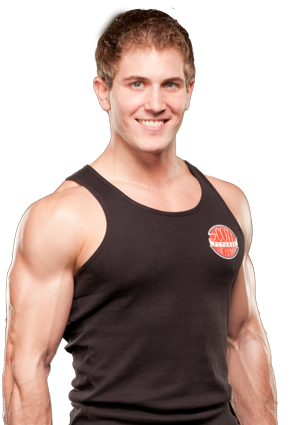 So I will stick with non-exercise tips to help keep you anabolic…sound fair enough? 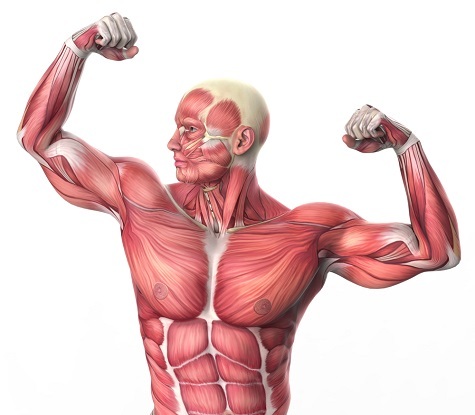 To begin with, you want to avoid at all costs the negative influences which create a catabolic (muscle robbing) effect on the muscles such as: Over-training, poor nutrition, not enough rest and emotional stress. 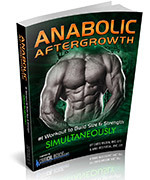 The positive influences for staying in the anabolic (muscle gain) environment includes and is not limited to: Proper training, nutrition, rest and a positive mental attitude. 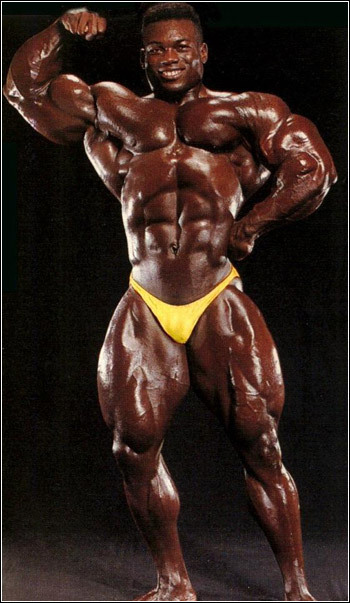 With regard to proper nutrition, the late Vince Gironda always seemed to have some natural anabolic secrets in his bag of goodies. 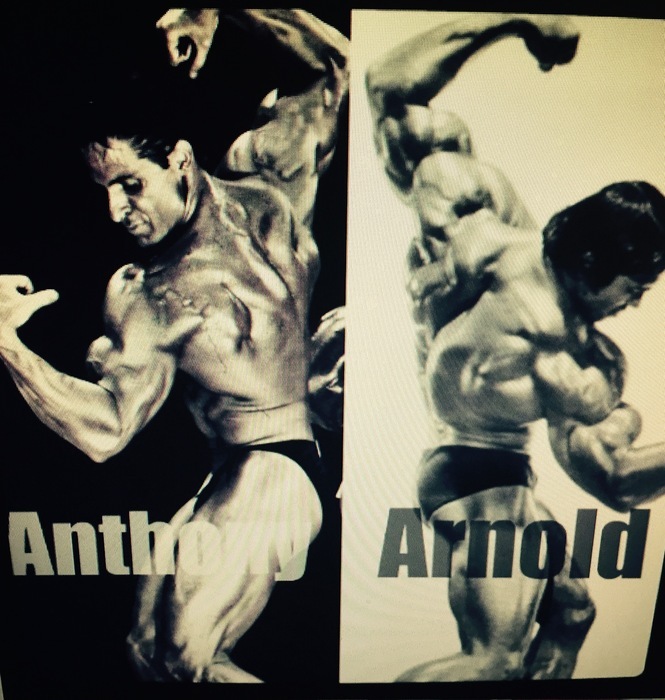 So rather than give you my personal secrets to anabolism, let’s look to an icon in the bodybuilding world. Here are “3” of his secrets. 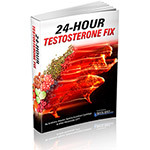 Another of Vince’s Anabolic Secrets that has proven to be beneficial in the promotion of muscular weight gains was to eat 1 boiled egg every hour that you are awake. I know that sounds like a ton of eggs and potentially challenging to do considering work, family etc…so then shoot for every 2-3 hours and see if that gets you anywhere. 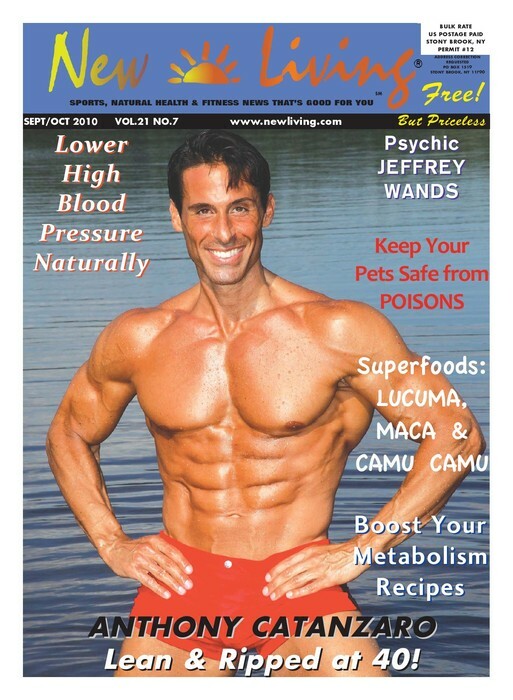 The BIG SECRET is simply drinking 6 ounces of half & half or certified raw cream mixed with 6 ounces of ginger ale. Blah! I know, but it worked. 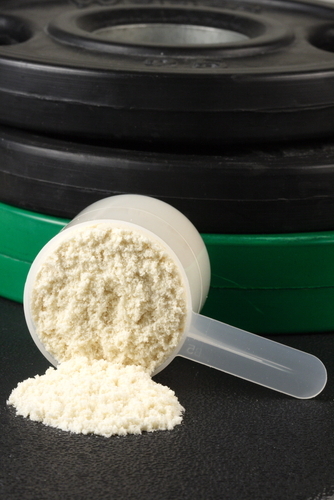 Sometimes to trigger the anabolic or growth mechanism of the body even further Vince would advise adding 2 ounces of a milk & egg protein powder. Just so you know, milk and egg protein sources allow for some of the best absorption of all the protein sources. This means that both eggs and milk are more biologically available than several other protein sources making them high on the list of best protein options. Mind Power Doctrine: How Mentally Prepared are YOU for your Workout? 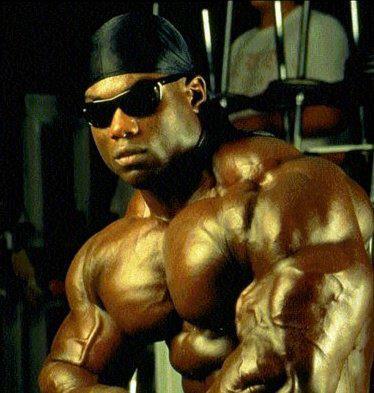 “Man I’ve been doing really heavy bench presses lately… like 300 pounds. I walked into the gym on Monday and did it, no sweat. Then on Friday, my next bench day, lo and behold I didn’t get the 300 pounds that I easily got on Monday. I guess I was still tired from my last bench routine?? Then I came back in the gym again on Monday and I blew away my benches again. I pretty much have been gearing my whole workout towards that 300-pound bench press. 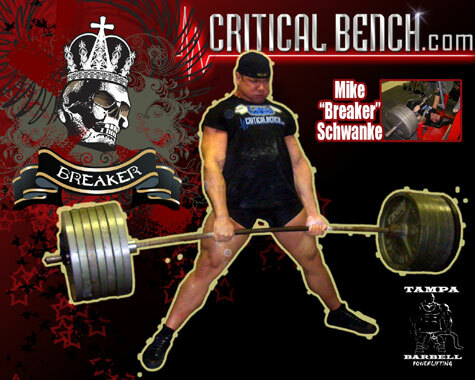 If I hit the 300-pound bench, my workout seems to go much better compared to those days when I miss it. It even affects my attitude when I leave the gym. 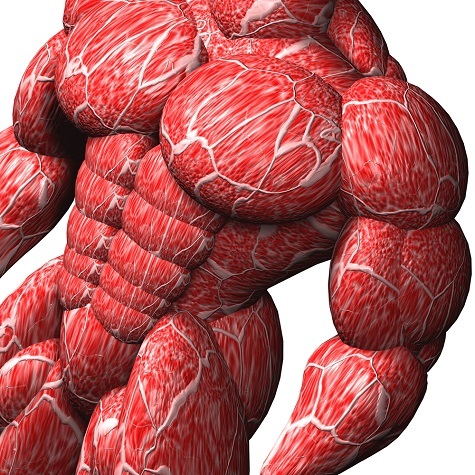 Your muscle doesn’t have a brain. Your head controls the muscle. The muscle doesn’t control the brain. You MUST change your mental attitude about your training. 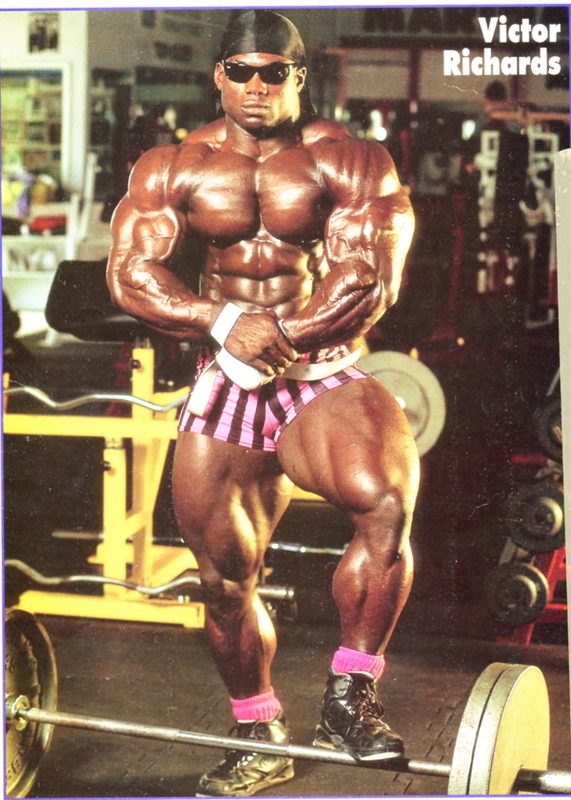 You can’t take anything negative that you are doing in the sport of bodybuilding, weightlifting or anything else and turn it into positive results, it just won’t work. Everything you do in the gym (and on the field) has to be done on a positive note. You must condition your subconscious mind to think that you are getting stronger and training with more intensity and your body will have to respond accordingly. Here is something you might try next time you go to the gym. I call it Mental Imagery-Rehearsal. Mental imagery-rehearsal is conducted approximately 10-15 seconds prior to each set of an exercise. While standing or sitting, however you feel most comfortable, close your eyes and take in and exhale short breaths of air as you mentally prepare (with selective focus) for the moment at hand. You must go to that place in your consciousness where there is no pain, no negative influences, no fear, a state of mind where only positive forces dwell. Your mind must be time-locked (cohesive) with the muscles in order to do battle with the heavy iron. Begin by picturing in your mind’s eye the bench, the bar, the plates. Imagine this so intensely that you can smell the sweat, feel the knurling on the bar, hear the plates rattle, and so forth. 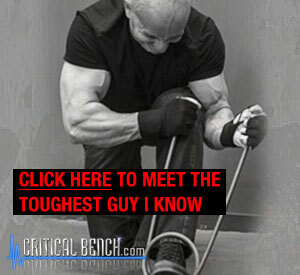 Since you are going to be performing the flat bench press, for example, recreate all of the exercise mastery techniques that are necessary for the successful completion of each gut-wrenching rep of the set. The more organized and detailed you can make this ritual of mentally focusing in one-set intervals, the better chance you will have for training to the outer limits of muscular size and strength. Here’s another way to explain it. Think of how organized and detailed the ritual of mental imagery-rehearsal would be if it related to making love to a beautiful woman. The details are never slippery or vague. They’re always clear and vivid. As the magnitude of mental imagery-rehearsal for the upcoming set becomes more and more vivid, you will begin to feel torrents of unleashed fury and your heart will beat in a manner that reflects your ability to dominate and prevail in the moment. Open your eyes. You are now 100% mentally focused and psyched. Go for it! It’s time to lift the HEAVY IRON! Tip: During your workout, play your own favorite high-energy music to trigger strong energy responses. Who cares if it’s the same song that triggers your best effort. Use it until you find others to add to the mix. Mud Runs and Adventure races have become the next fitness epidemic in the United States and for a good reason. But if you think you are ‘fit’ enough to tackle one of these races, think again. These races are not for your average weekend gym rat. These are serious and will separate the men from the boys (or women from the girls ☺). So even before we get into the gnarly 6-week program that I mapped out for you, let’s look at the history of these so-called mud/obstacle runs and adventure racing. While they could be called the grandfather of all obstacle races, adventure races are some of the most intense, physically challenging endurance events in the world. Most of these events will require the use of various modes of transportation such as horseback, kayak, bike, arms, legs, etc. In other words, you use whatever means necessary to get you from point A to point B in the fastest amount of time. The term “Adventure Race” was coined by journalist Martin Dugard when describing the passion and challenges conquered by athletes in events such as the Eco-Challenge. The Eco-Challenge, created by Mark Burnett of the TV show Survivor, was the world’s first adventure race and is considered by many to have put the sport on the map for all athletes looking for something extreme and adventurous to compete in. Over the course of a decade in the 1990s and early 2000s, the Eco-Challenge was reformatted in an attempt to make events more difficult and more exciting. In this process was the addition of the entirely self-encompassing sport of adventure racing through a mix of multiple different disciplines. Today, you will find all different races throughout the year in all states and in remote countries around the world. 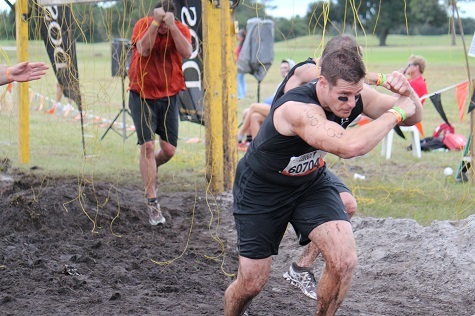 Races like a local charity 5k obstacle course, The Tough Mudder, a 10-12 mile team-oriented obstacle course, to the 4 Deserts Race, a 7 day, 250km foot race across the most extreme terrains on the planet. Whatever types of race interests you, there are requirements: physical fitness and mental toughness. 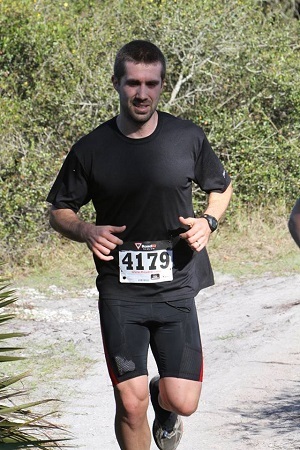 No matter the distance or degree of difficulty presented, you will need to follow a training program that will enable you to not only finish the race but to also look darn good in the photographs dominating the course. There’s a strong possibility that if you are reading this, you’re already interested in adventure racing. And that’s great! Adventure racing is an experience that you’ll never forget and I guarantee that once you do your first race you will be hooked! I don’t know about you but I am a competitor. 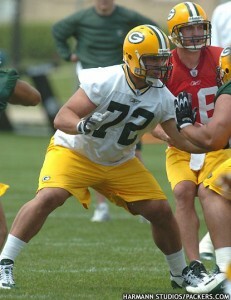 I love to compete. Even if the race isn’t timed or there is no winner, I will still set my watch and run down anyone in front of me just because that’s what I’m driven to do. I know that’s the athlete in me but it’s also a primal instinct of our human design. We hate losing and rightfully so. Whatever your situation is you will still want to performance at your absolute best. Or maybe you’re a veteran racer and you’ve hit a plateau and just can’t figure out a way to get stronger and faster. Or maybe you just completed a race but had to bail out half way through because you’re training sucked. Regardless of how fit you think you are you will have something to gain from this program. Like I mentioned above, there are thousands of races to choose from but obviously you would want to start local. Do a quick internet search for ‘adventure race in (your city or state)’, ‘mud run’, or ‘obstacle course’ and go from there and select a race that appeals to you and go from there. Depending on where you live, I’m sure there is a least one race within a 1-2 hour drive from you and there’s a good chance it’s a sprint race. A Sprint Race lasts anywhere from 30 minutes to 2 hours. These races are by far the most popular type of adventure race and also the most beginner oriented. The typical distance for a sprint will be between 3 – 6 miles on foot. 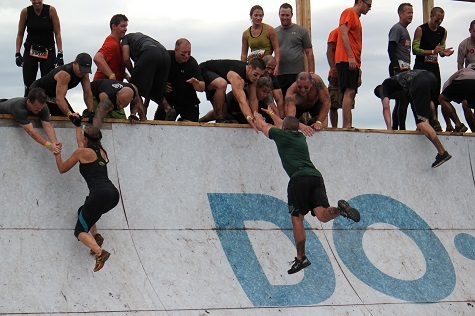 Now throughout the course you will be faced with numerous obstacles, some man-made: running through tires, cargo nets, slip and slides, rope swings, vertical climbing walls, etc. and some will be natural: swimming, mud pits, rocky terrain, rock climbing, etc. Because the races are shorter, teams are closer together and there is a ton of camaraderie and interaction with other racers during the race, I recommend this race to all first-timers to get a feel for the sport. Many racers, after doing a few sprint races, long for an even greater challenge. The next stage of racing would be a Middle-Distance Race that would last anywhere from 2-6 hours. There are some important differences to know between a 3-mile race and a 13-mile race. Though the disciplines will be similar, the race itself will be much longer (7 – 15 miles) and much more challenging due to the number of obstacles. 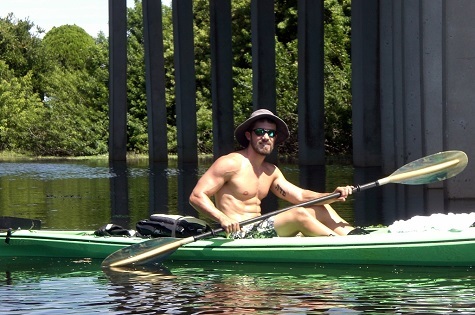 The longer the race, the more obstacles you will have to battle and you might even have to use items or objects to finish the race: log carry, team canoes, zip-lines, and maybe even your own bicycle. These races will require your training to be geared more towards endurance simply because you are covering a greater distance. 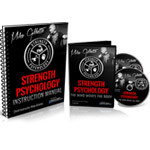 Now within this endurance event, strength is required so neglecting to do any type of strength training will limit you big time on the course. The third type of race would be an Advanced or Extreme Adventure Race. 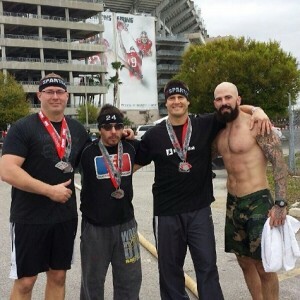 This type of race isn’t for beginners or even those who classify themselves as fit. These advanced races will not be for everyone. These races will be at a minimum of 13 miles of running and that’s on the very low end. Some advanced racers would laugh at the 13 miles just because there are adventure races out there that cover 100+ miles of insane terrain. Now in order to accomplish a race of this magnitude, man-made obstacles are very few. This is a no-brainer. 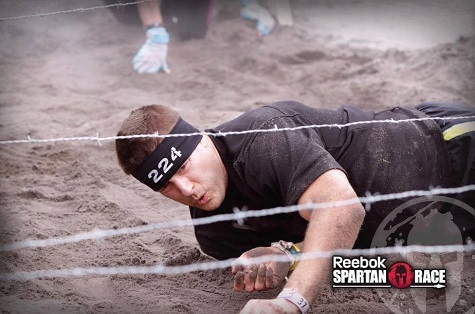 Could you imagine a 50-mile race having 500 obstacles?! As fun as that would be, it’s nearly impossible for someone to finish that, let alone create that type of race. These extreme races will require you to run, bike, climb/trek, swim and paddle. Since the more advanced races demand a much more personalized and thought out program, the two types of racing that we will focusing on in this program are the Sprint and Middle-Distance events. These races don’t necessary require you to go out and train 20-30 hours a week in preparation for your race. In reality, your week will look something like this if you stick to this program: 2-3 sessions per metabolic conditioning (a.k.a. metcon); 2-3 strength / power sessions; and 1-2 endurance-based sessions. As you can see that the work load is much greater in column B simply because that individual is coming from a much different background and the race that this athlete is training for is more than double the distance and obstacles. Again, this is a template that you can use to incorporate into your workout in order to fit your needs. 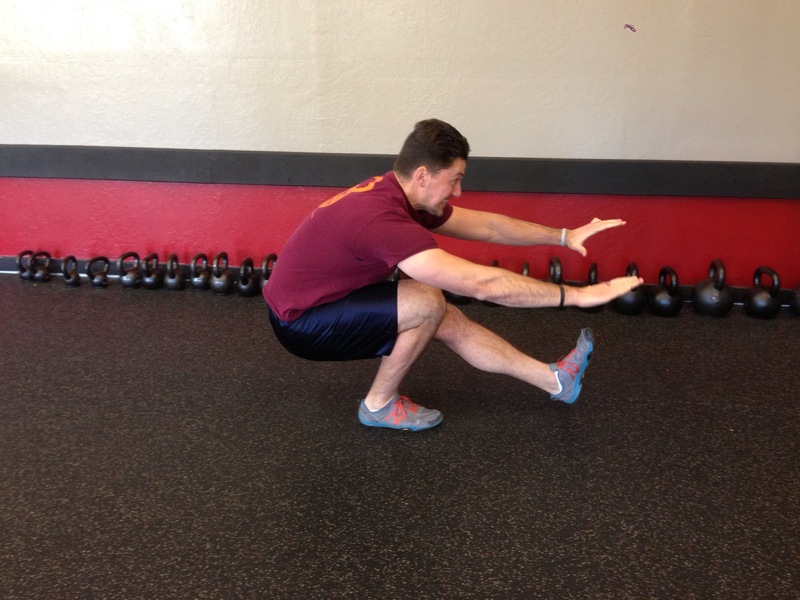 The main focus is hitting all of the energy systems in the body but allowing the body to properly recover. Notice that each day there is a different focus for the novice athlete but for the advanced athlete you will see 2 sessions brought together. (i.e. strength in the morning, endurance or cardio in the evening). This is because strength can’t make you an endurance athlete and cardio can’t make you a strength athlete. In this 6-week program I can guarantee TWO things will happen. 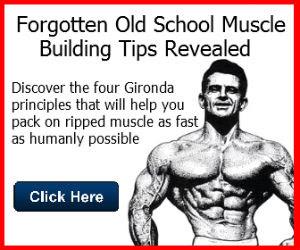 First, you will thoroughly enjoy the mixture of complex and supplemental movements to attack every system and every muscle in your body. Second, YOU WILL GET STRONGER AND FASTER! 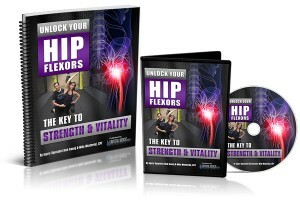 This plan is based on big, functional movements that are not boring and definitely not found in most corporate settings. I don’t mean looking forward into a mirror since that doesn’t reveal much about your form. It’s from the side that you can really see what’s going on with your spine while pulling some weight. 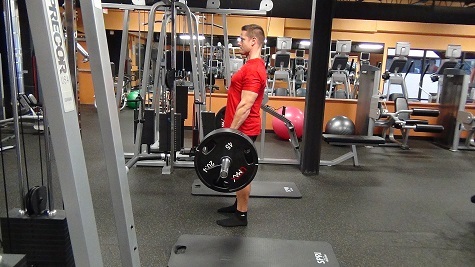 So that you have a good understanding about what I’m going to discuss, do yourself a favor and set up a camera (or have a friend take a video) and record yourself doing a deadlift from the side. Get a couple of reps and watch yourself a few times. What did you see? What did your head and neck look like from start to finish? Were you looking forward? 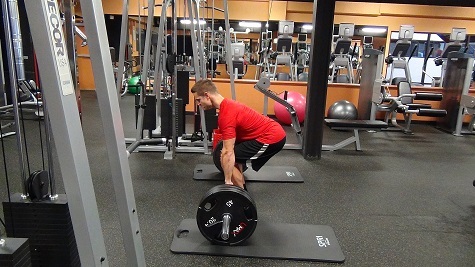 Regardless of techniques like conventional or sumo deadlift one thing must remain the same and that’s having a neutral spine. The spine of course is essential in all that we do and to maximize our performance, we need to be in optimal position as often as we can. 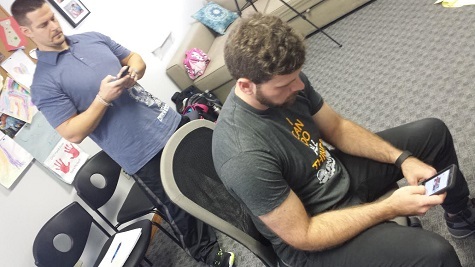 FHP or Forward Head Posture is a problem affecting approximately 90% of people in America. 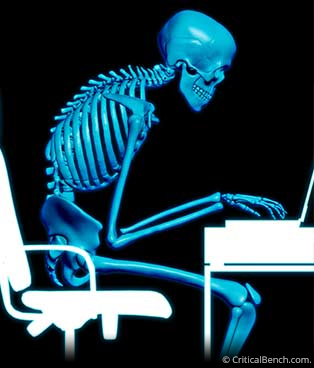 We look down so much at our cell phones, personal computers, tablets and don’t even realize the damage we are causing our cervical spine. It can also be found while driving since many people sit without ever using their head support. You are driving with forward head position. 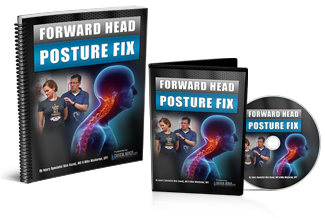 With all of this ugly forward head position in our lives we create an imbalance in the muscles supporting the head. I think we can all agree that the head is fairly important in our lives so fixing this issue is imperative for not only improving performance but overall quality of life. So now we go from this ugly forward head position or “texting neck” all day to the other extreme while executing the deadlift. Let me explain. 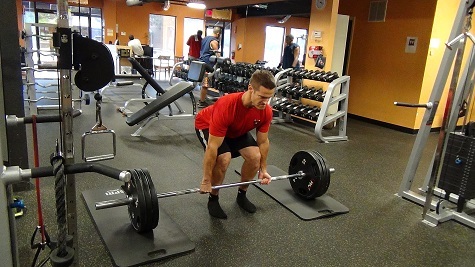 The nasty habit that is found in gyms across the world is that ‘head up looking at the horizon’ approach to deadlifting. As athletes, we are always told to ‘look ahead’ and ‘don’t drop your head’ and that is usually good advice in most sports but NOT when it comes to the deadlift. When the body hinges at the hips in preparation to pull weight from the floor, the spine is no longer vertical but angled forward. The angle can vary from person to person but all things considered, the body is somewhere near a 30-45 degree angle just before the lift begins. So why lift the head to look straight ahead? Because it just “feels” right and you’re so used to looking into the mirror or at the wall you don’t even realize you’re doing it. But don’t be fooled, sometimes we let our eyes have too much influence over our bodies. In this stationary exercise, it is MUCH more advantageous to maintain proper spinal alignment which means our head lines up perfectly with our mid and lower back down to our hips.